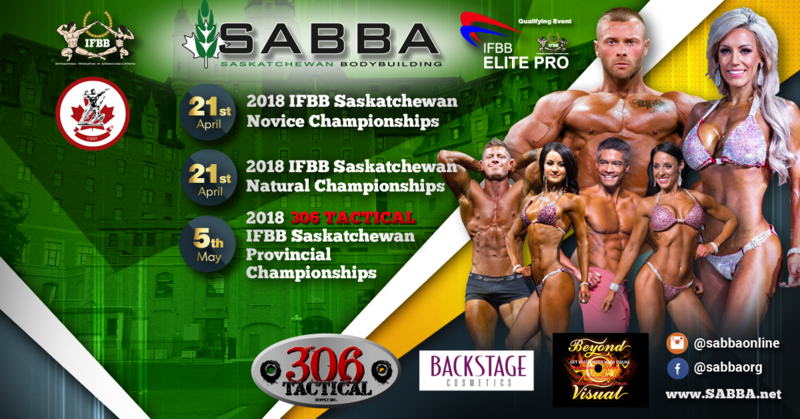 The Saskatchewan Bodybuilding Association presents our Novice Championships. Top 5 from this event that will qualify you move on to the Provincial Championships. This event is open to all Saskatchewan residents whether competing for the first time our trying to get their provincial qualifications. Since it is a Novice event (level 1) competitors may competre in more than one division. Classes in Bikini, Body Fitness (Figure), Women's Physique, Men's Physique, Fitness, Classic Bodybuilding and Men's Bodybuilding. Must be no older than 21 years old on Apr 21, 2018. Must be at least 40 years old on Apr 21, 2018. Competitor must be 40 years old within the 2017 calendar year. Must be at least 35 years old on Apr 21, 2018. For competitors turning 35 within the 2017 calendar year. Competitors must be 35 within the 2017 calendar year.